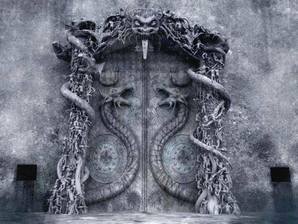 THE MYSTERIOUS LAST DOOR AT PADMANABHASWAMY TEMPLE. On the bequest of the Supreme Court of India the seven member committee in the presence of the Head Trustee of Travencore Trust of Sri Anantha Padmanabha Swamy temple at Tiruvananthapur am in South Indian state of Keral have opened the six secret vaults. They have discovered under 20 feet of the ground approximately $ 22 BILLION WORTH OF HIGHLY VALUABLE GOLD in the form of, diamond jewelry, golden utensils, weapons, golden idols, golden elephants idols and diamond necklaces having 500 kilograms weight and 18 feet length and bags full of golden coins of different nations, including NAPOLEON and ITALIAN coins in the last one week. 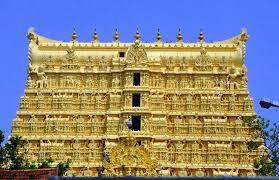 With this Sri Anantha Padmanabha Swamy of Tiruvnanthapura has emerged the richest God on the earth. And this world is looking at the opulence of this God with the mouths opened in a great shock and surprise. This chamber is being considered by the Trust members and other learned Astrologers of India, as highly mysterious, sacred and risky and dangerous to unveil it. Because the steel door of the Chamber-B is having two big COBRA PORTRAITS on it and this door as no nuts, bolts or other latches. It is considered to be fixed to the secret chamber with the ‘NAGA BANDHAM’ or ‘NAGA PAASAM’ ‘MANTRAS’ by the then ‘SIDDA PURASHAS’ who lived during the reign ofKING MARTHANDAVARMA in the 16th CENTURY. A door of such a secret vault can be opened by a highly erudite ‘SADHUS’ or‘MANTRIKAS’ who are familiar with the knowledge of extricating ‘NAGA BANDHAM’ or‘NAGA PASAM’ by chanting a ‘GARUDA MANTRA’; So except in this way, the door can’t be opened by any means by anyone. At present NO WHERE IN INDIA or in the WORLD such a highly sacred and powerful ‘SIDDHAPURSHAS’ or ‘Y0GIS’ or ‘MANTRIKAS’ who does know how to execute highly sacred ‘GARUDA MANTRA’ are EXISTING. If any human attempts are made with man-made technology to open the mysterious Chamber-B other than by chanting highly sacred and powerful ‘GARUDA MANTRAS’ by a highly sacred ‘SADHUS’ or ‘MANTRIKAS’, catastrophes are likely to occur in and around the Temple premisis or through out India or even through out the world according to VEDIC ASTROLOGERS OF INDIA, who also revealed their inability to open the door by chanting the secret ‘GARUDA MANTRA’. If ‘GARUDA MANTRA’ is chanted by any powerful ‘SADHU’ or ‘YOGI’ or ‘MANTRIKA’the door proceeds to automatically open and no human effort is needed toopen it in any other way.